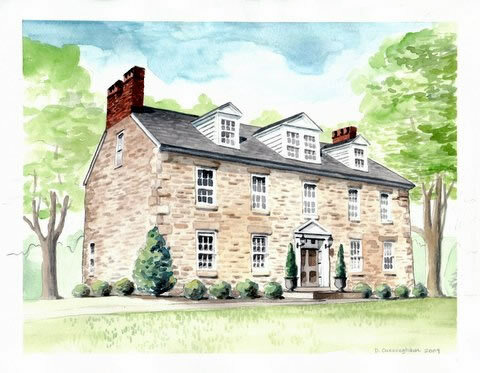 Walnut Grove, built around 1780, was once the home of Colonel Gassoway Watkins, of the Army of the Revolution. The site overlooks some of the most beautiful farmland in Maryland. Located in Ellicott City, near Clarksville, the impressive stone building offers the designers such features as rich moldings, large fireplaces and beautiful hardwood floors. These amenities have attracted the area’s finest decorators and artisans, who have enhanced the fine amenities of this historic mansion. After exploring the interior of the house you are welcome to enjoy the Boutique, Shoemaker Country, Wild Goose Chase Antiques, and onsite catering by Bud’s at Silver Run. and education in Howard County, including the mill replica the organization plans to build in the Historic District of Ellicott City, the oral history program and the plaque program.